Make your own pretty candles by decorating them with dried flowers, or some text printed on paper – whatever you like. A little patience is needed when putting the design but overall, very easy! This particular tutorial will show how to do it with dried leaves. 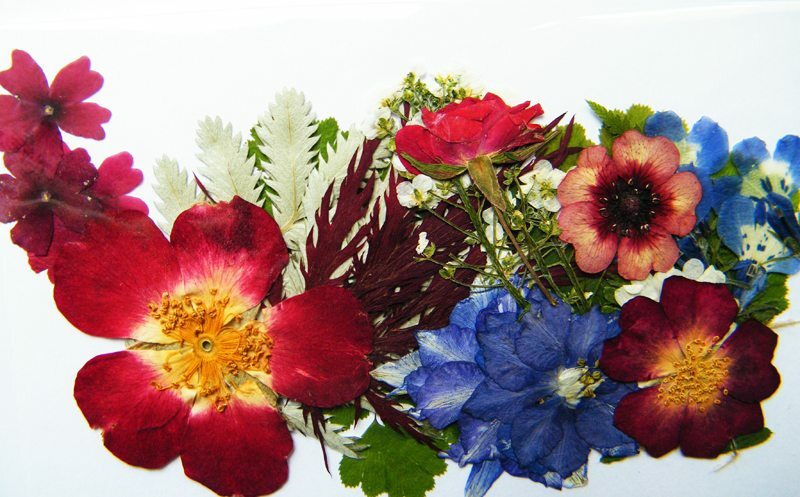 Collect nice flowers and leaves that you would like to use as designs. Then place them flat on a paper, and place that paper between the pages of a book where they could dry a little. Now break the little candles into smaller pieces, remove the wicks and put them in the small pan. Put that pan inside the bigger pan which contains water. Place them on heat. 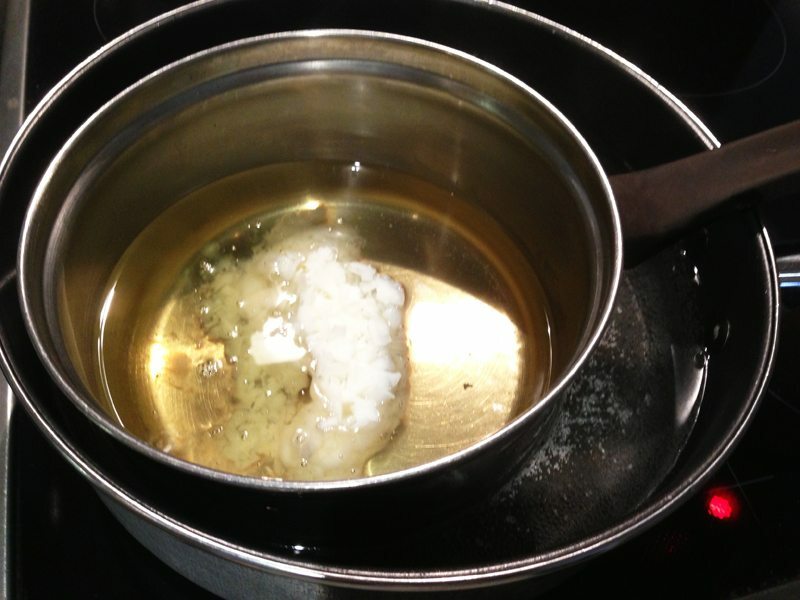 This way, as the water boils the candles inside the smaller pan will melt, not necessarily boil. Remove the top part of the soda can, and when the wax is completely melted pour it in the can. 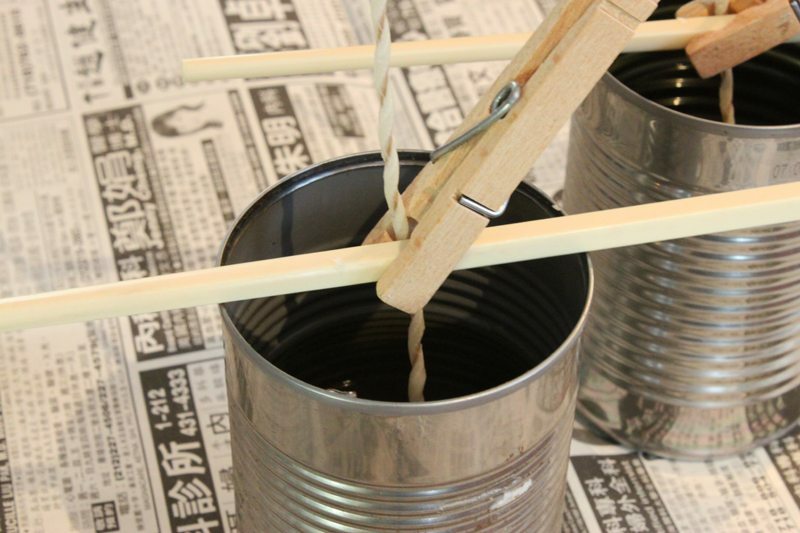 Place a new wick in the middle, and make sure it stays in place by using the straw and clothes pin until the wax hardens, similar to the picture below. 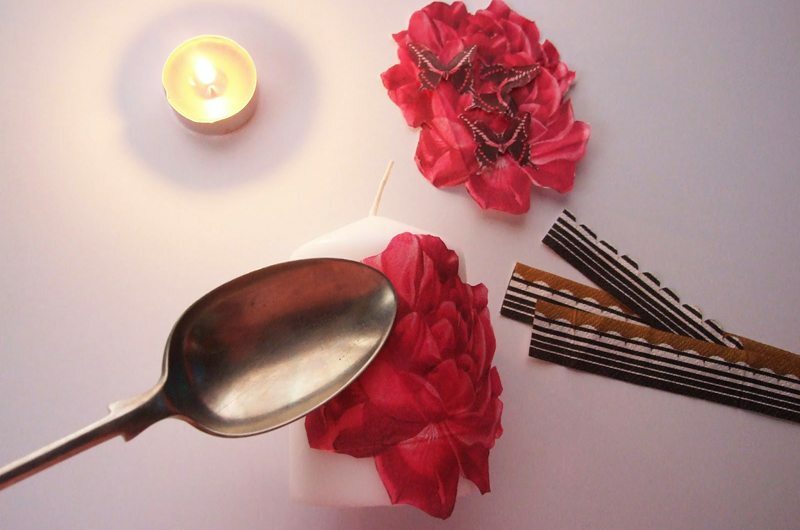 Now for the next phase of this project, you will need the scissors, a lit candle, spoon, and your dried petals and leaves. Place the petal or leaf on your candle where you want it, heat the spoon using the lit candle to stick the leaf on your candle. Eventually you will learn how to adjust the degree of heating of the spoon, so all flowers will be attached evenly and beautifully. Cut off any excess tip with scissors. 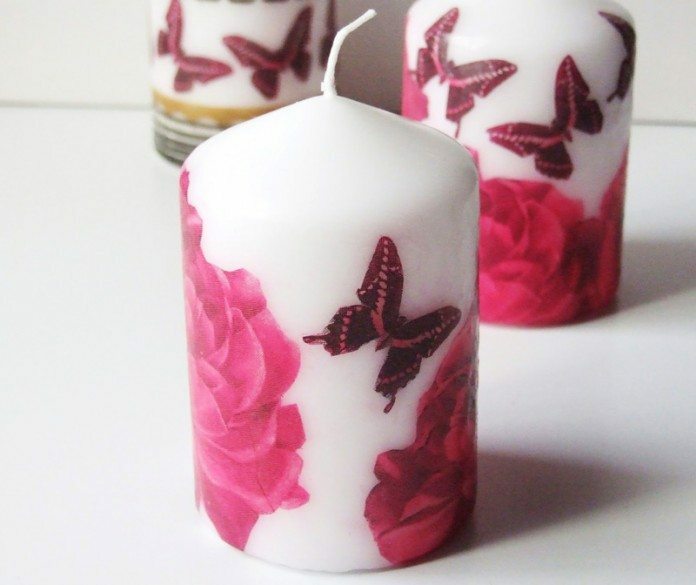 Do the same with the other leaves and petals until you are satisfied with how your candle looks like. If you want your design to look really immersed in the wax candle, you should have a high glass whose diameter is a little bigger than your candle. Pour some melted candle wax on the glass, then dip your candle in that wax for a maximum of 2 seconds. Let cool and that’s it! You have a custom designed candle with a nice, even surface. Previous articleTwelve ways to repurpose that cot!